Commercial window tinting at its best. Your best source for commercial window tinting in Denver. 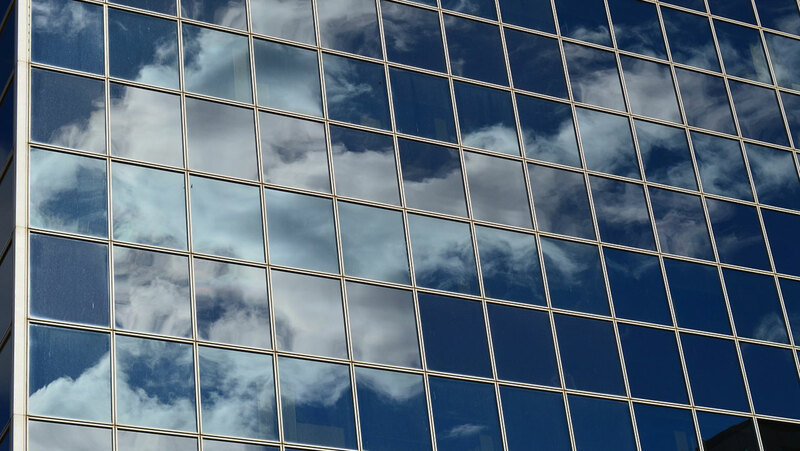 If you run a business in Denver and haven’t heard about the benefits of window film, keep reading. Window tinting, also known as window film, has many benefits that range from energy savings to safety and security. With commercial window tint, Denver businesses can save money on heating and cooling bills, cut UV damage to furnishings and glare damage to eyeballs, or even enhance their décor and advertising efforts. Let us run it all down for you. 1. Energy efficiency: This product is installed to the inside of your windows like all window films. It blocks solar energy in the form of heat, all summer long, keeping your premises cooler with less air conditioning and saving you mega-bucks on your utility bills. It also blocks heat loss through the glass all winter long, keeping your business warmer with less furnace output. This is also a big money saver. As an added extra benefit, these types of window films usually block 99% of the sun’s UV rays that fade your carpeting, your furnishings, your artwork. Less fading means everything looks great years longer, saving you money on replacement. 2. Security and loss prevention: If you have a security system installed for your business, you probably already know that the windows are its weakest link. After all, with a silent alarm or a loud one, someone can still break them and do the dreaded smash-and-grab on any merchandise you have lying around. They can be gone with their haul, if they are quick and efficient, well before the authorities arrive to investigate. And you will have the mess of shattered window glass everywhere to deal with. With security commercial window tint, Denver businesses will have windows that will not shatter all over the floor. These products actually thwart the burglar or vandal by not allowing entry through the windows, no matter if they beat that window with a bat or a rock or a tire iron. 3. Decorative window film: These come in many colors, styles, and patterns. They can look like expensive frosted or etched glass, mimic the look of stained glass, or even be custom designed to advertise a sale or your business’s name and logo. This is one super affordable commercial window tint Denver businesses are just starting to take full advantage of. Actually, we have more types of window films than these, such as bomb blast window film and anti-graffiti window film. What type do you need for your business? Please contact Denver Commercial Window Tinting today for a quote or to have any questions answered. Previous Post A simple solution for added privacy and style. Next Post Decorative window tint to create a new style.